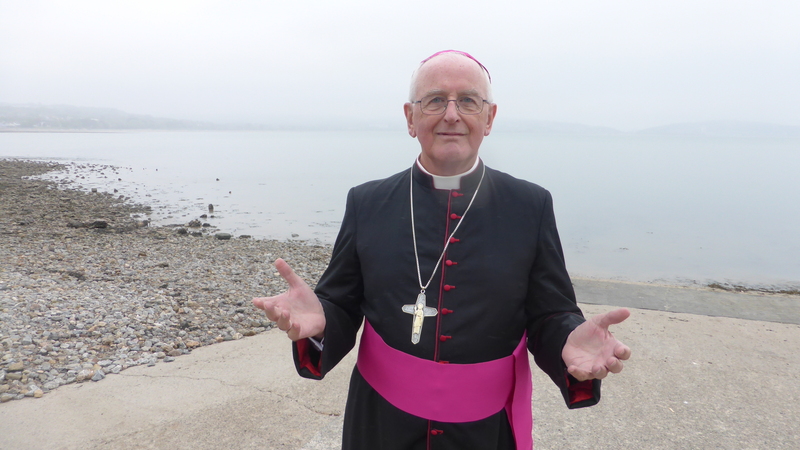 Earlier this month, Bishop Thomas Matthew Burns of the Diocese of Menevia added his support to Pope Francis’ call for the need to build relationships between migrants, refugees and local communities. 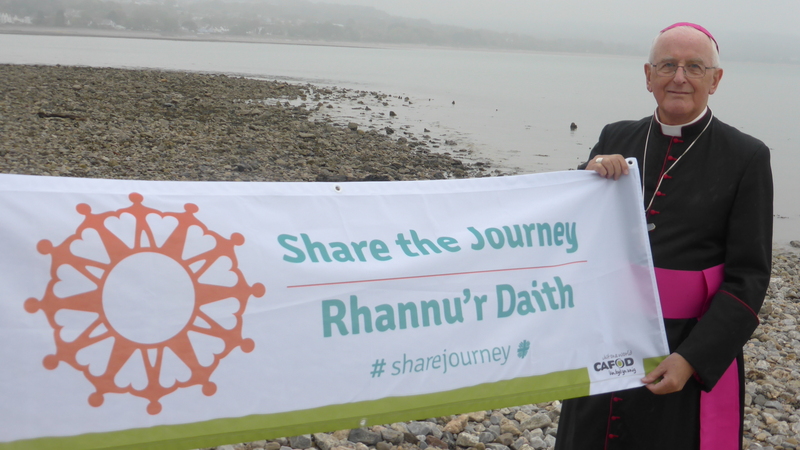 Bishop Tom endorsed Share the Journey, the global campaign launched by the Holy Father in September last year, as he joined other world leaders and bishops in making the “Reach Out” gesture of welcome – which is at the heart of the campaign – stretching his arms out wide. “Hope is what drives the hearts of those who depart… it is also what drives the hearts of those who welcome: the desire to meet each other, get to know each other, to dialogue.” Pope Francis. 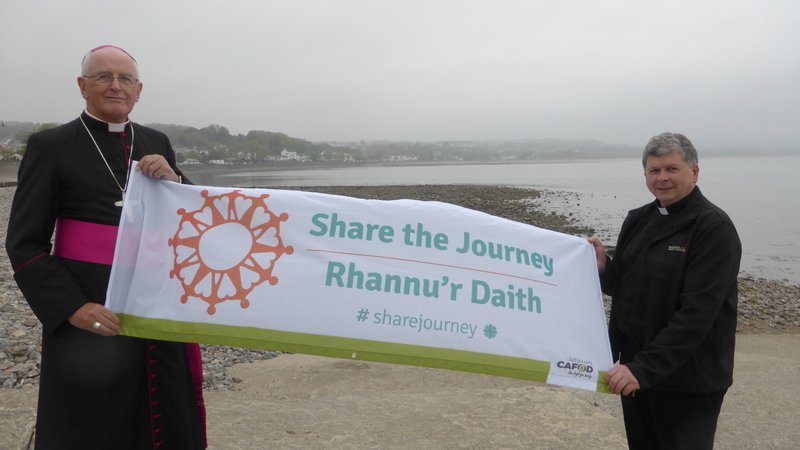 The Share the Journey campaign is being supported by more than 200 Catholic organisations around the world. 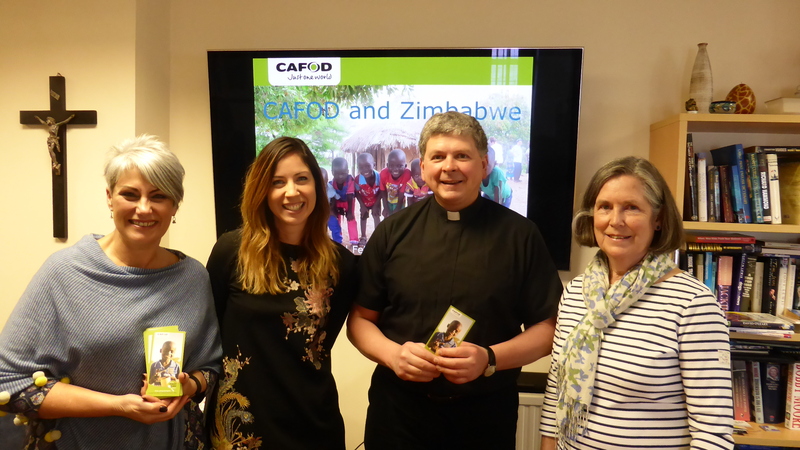 CAFOD and Caritas Social Action in England and Wales (CSAN) and Caritas sisters agencies in over 40 countries. The campaign is calling on all governments, and us, as individuals, to play our part in welcoming and protecting people who are forced to flee their own homes because of persecution, poverty and emergencies. Inspired by Pope Francis’ special concern for people on the move, we are asking the people of England and Wales to step up and make their voices heard as world leaders draw up ambitious new UN agreements (compacts) on migration and refugees in September and December of this year. There are many resources available to support you, but one of the easiest ways to add your voice is by signing the online petition. 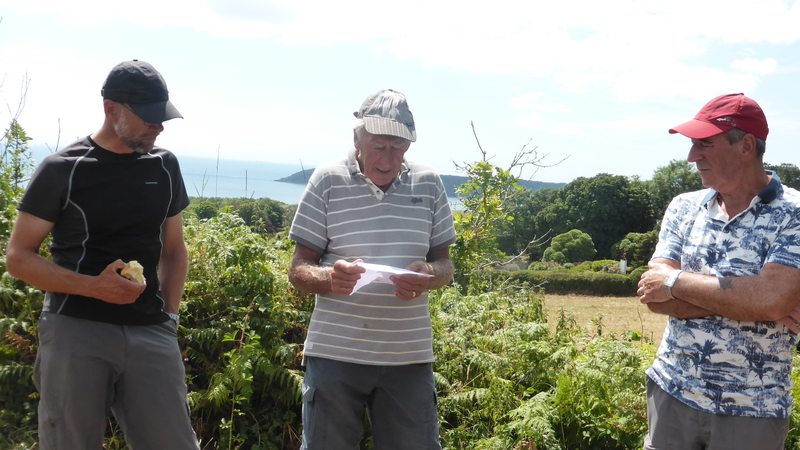 To support the campaign we are attempting to walk 24,900 miles – the distance around the whole world. 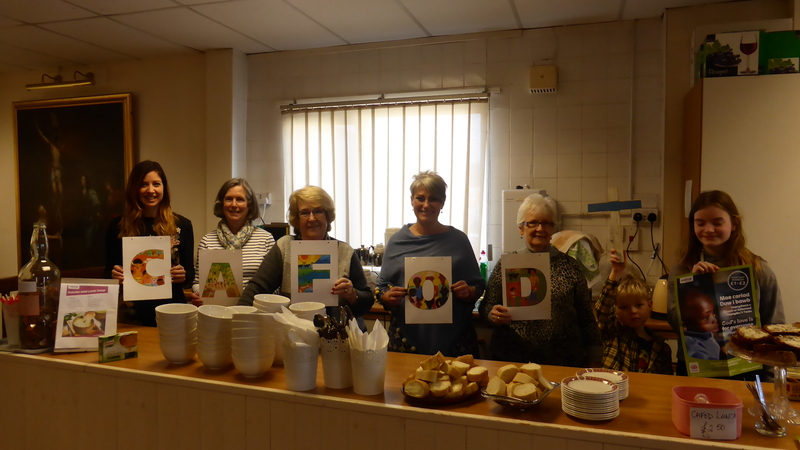 We are hoping that many parishes across the Menevia diocese will get involved in this act of solidarity, to Share the Journey with our global neighbours fleeing their homes. Every step you take, together with others from across the country, will send a message to world leaders that we want them to step up too; to act with courage and compassion. 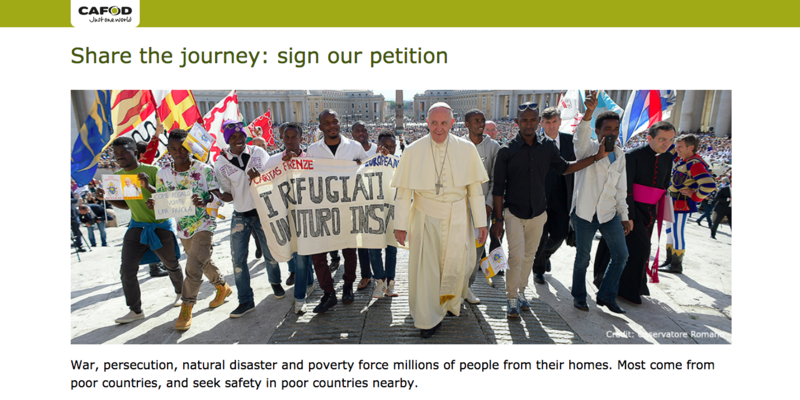 To learn more about the Catholic church’s response to the refugee crisis, CAFOD has produced a useful factsheet. And here are some frequently asked questions about the refugee crisis. 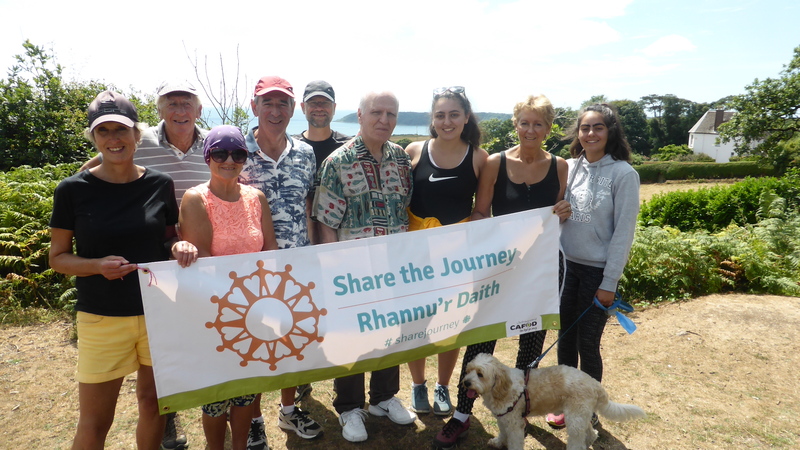 If you want to get involved, you can download a copy of the Share the Journey organiser’s guide to get all the information you need. And there are free campaign (cards) which you can order or please get in touch with us and we can support you as much as possible. 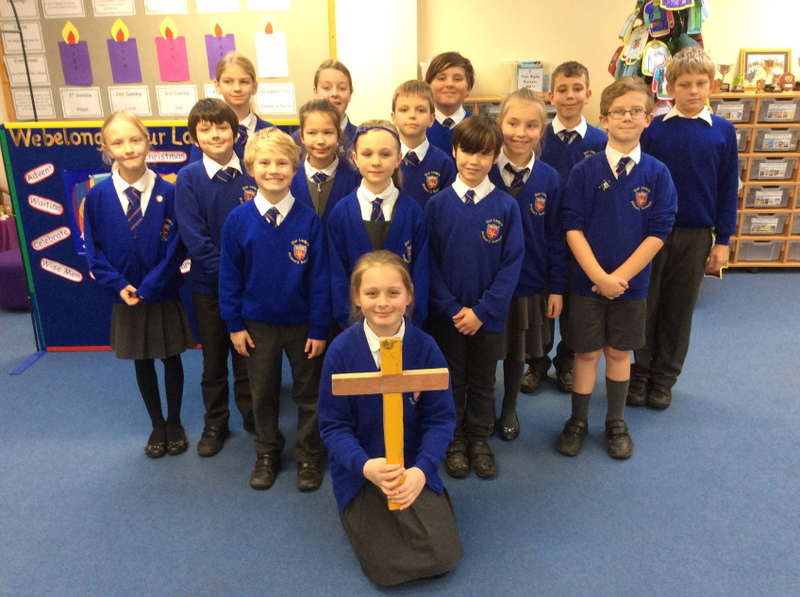 You may want to know more about the position of the Catholic Church in England and Wales on the refugee and migrant crisis in Europe? 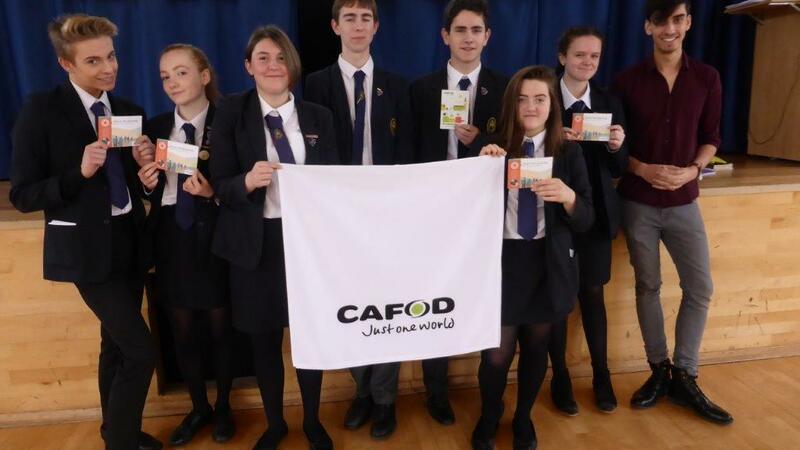 I hope this helps: CAFOD’s mandate from the Bishops’ Conference of England and Wales is to support poor communities overseas. 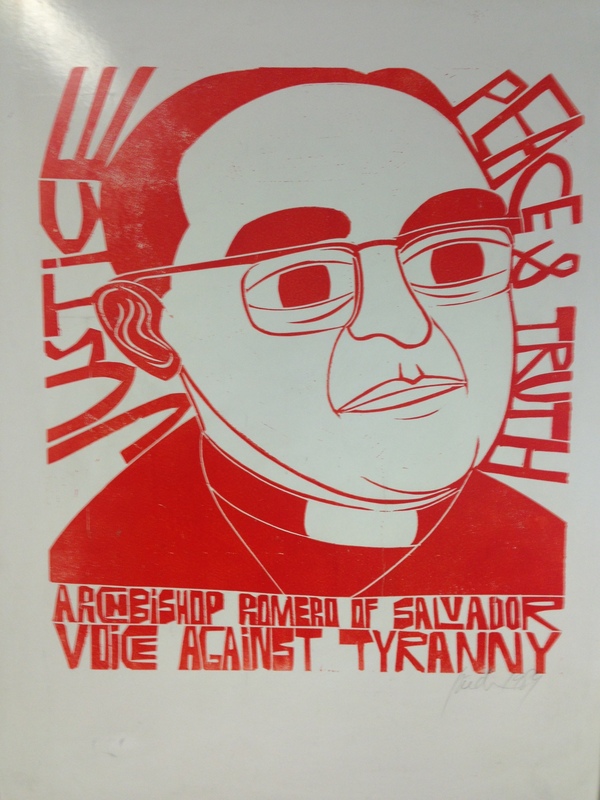 CSAN (the Catholic Social Action Network) is the social action arm of the Catholic Church for work in England and Wales. 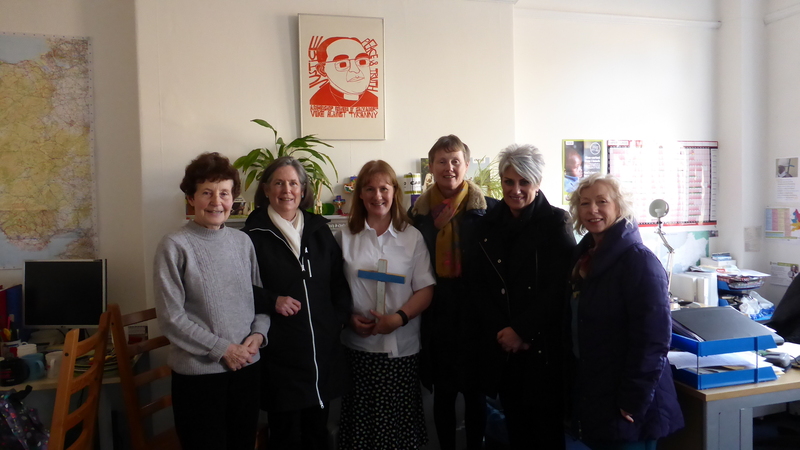 Their members support refugees who have already arrived in the UK, and they do advocacy work on poverty in the UK. 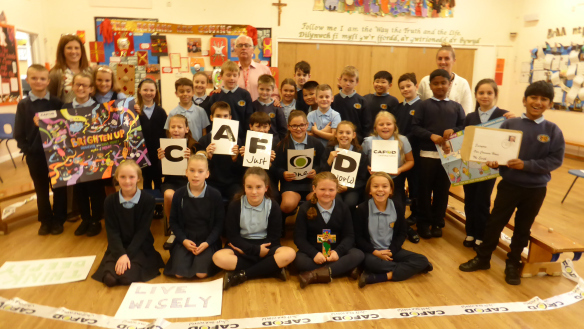 Together CAFOD and CSAN form Caritas England and Wales. 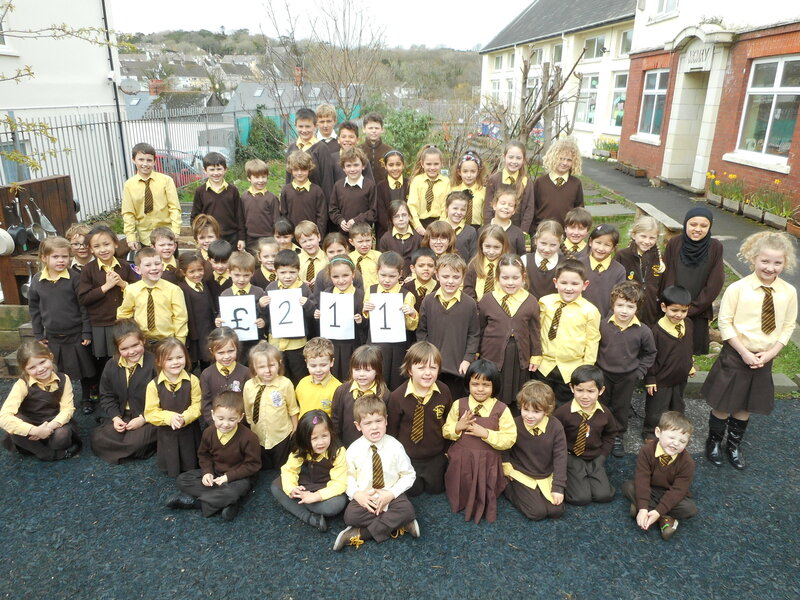 Both organisations support the Share the Journey campaign.